If you are looking for a battery powered, portable, and lightweight Bluetooth receiver, the Etekcity 2-in-1 Bluetooth Receiver Transmitter is one of the most popular and reliable Bluetooth receivers on the market today. 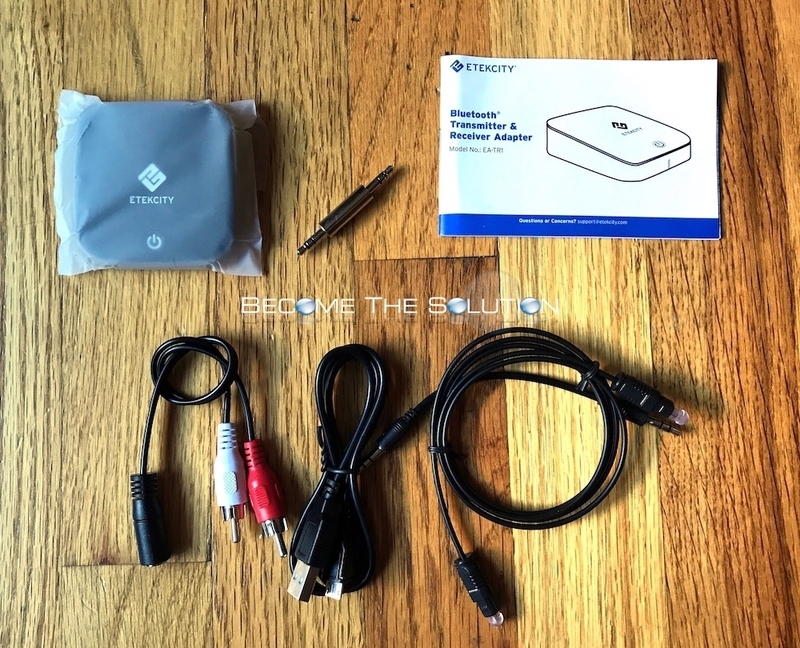 The Etekcity Bluetooth receiver is perfect for converting your standard 3.5mm speaker system to a wireless sound system power house. When you first power on the receiver (after charging it via the USB cable for 10 minutes), the receiver enters pairing mode by default. We found the Bluetooth devie name of our receiver as EA-TR1. The receiver paired with our iPhone instantly. We have several iPhones connected to this receiver; however, you can only have one device paired simultaneously. Simply connect to the receiver to boot the previous device that was paired with the receiver. The receiver allows dual transmission between 2 speakers or headphones – so you can send 1 audio signal to 2 different devices. The receiver powers itself off when not in use. Buy the Etekcity 2-in-1 Bluetooth Receiver Transmitter here. Size: 2.36 x 2.36 x 0.83 in.